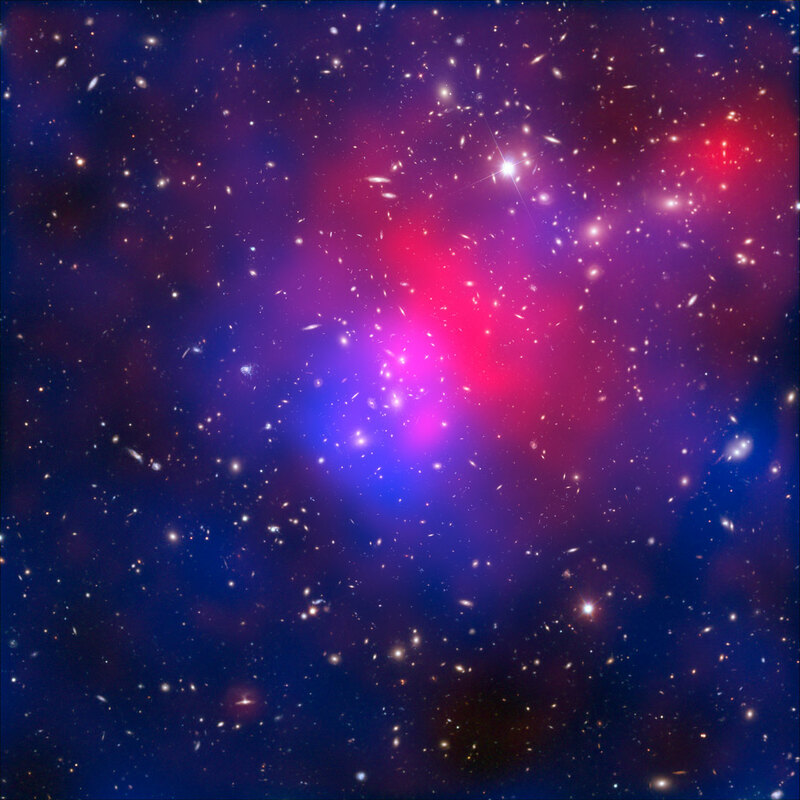 Red colours show the X-rays from hot gas in the galaxy cluster Abell 2744. The X-ray data were collected by NASA’s Chandra X-ray Observatory; the background image was taken by the Hubble Space Telescope photo. Blue colours map the distribution of colder dark matter.